In celebration of Sunday's Luftgekühlt™ event, we are going to move our normal 2nd Saturday Gathering/LAG (Lazy AutoKennel Gathering) up a week to this Saturday 5/6/17. We will open our doors at 8:30am and will stay open until 1:00pm. Whether you are coming from the Cars & Coffee at the Enderle Center, in from out of town, or just want to sleep in and get a later start, all are welcome. 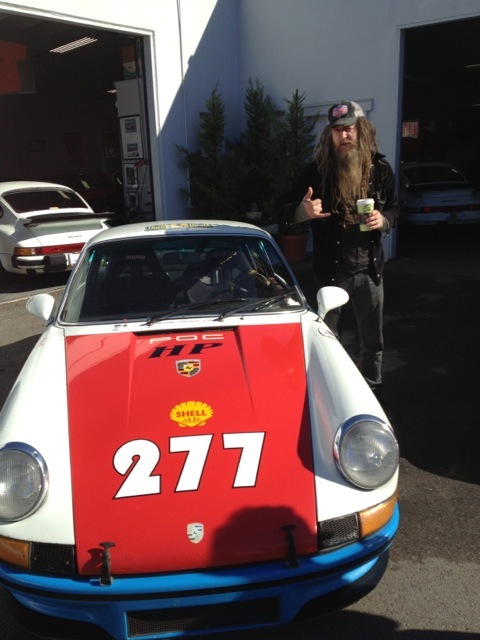 This weekend Cars & Coffee at Enderle should be especially busy with air-cooled treats showing up. Feel free to come at anytime and stay as long as you wish. At 9:15, we will have one of the best local breakfast food trucks arriving to feed us. They will only be here until 9:45am.